Once you start the loan process, there will be a lot of questions about how you are paid. Having the answers to these questions before you meet with your mortgage professional to finish up your loan application will save you a trip to the filing cabinet to dig up more information. Getting a mortgage requires you to answer a lot of questions. 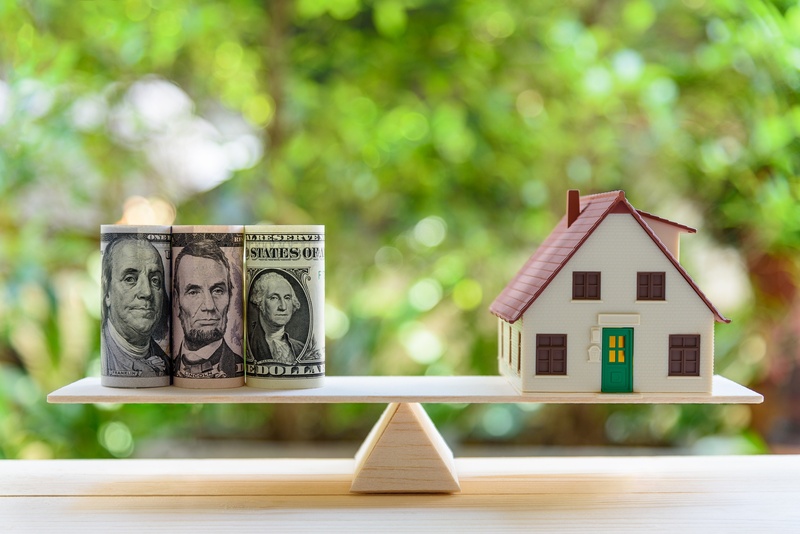 Here are five questions you can expect your mortgage lender to ask about your income. Preparing for these questions in advance will get your loan application on the way much faster. 1. How long have you received your current rate of pay? That big bonus won't help much if you haven't been getting the same amount for the last two years. When in doubt, a lender will look at your W-2s for the last couple of years and then look at your pay stub to see what you've made so far this year. If you're calling around to find out what you can qualify for, it would be best to have this info handy so you don't end up making an offer on a house that your income doesn't support. 2. How often do you get paid? Are you paid every week, every two weeks, twice per month, or monthly? This may seem irrelevant, but here's an example of why it's so important. Let's say you get paid $2,000 biweekly, but you say you get $4,000 per month. If we assume you're only getting paid twice a month, then a lender uses $48,000 per year to qualify you. But if you are actually paid biweekly, we're shorting you about $300 per month worth of income because you actually get paid every two weeks, giving you a couple of extra pay periods per year. That extra $4,000 per year could make about a $20,000 difference in your borrowing power on a 30-year fixed mortgage. 3. What's the deal with the ups and downs? If you've experienced a big drop in income from last year, chances are an underwriter will use the worse of the two years to figure out how much mortgage you can get. Did your income skyrocket from last year to this year because of some big commissions? That's great, but the underwriter will likely take the average of the two years, so that McMansion may not be in the cards just yet. If there has been a change in your base pay, like a big salary increase, then you can use this income right away. Also, if you have experienced a change in income of more than 10% year over year, plan on having someone in human resources write a letter explaining the reason for the change, especially if it was due to a promotion or new position within the company. 4. Are you new on the job? So long as you're getting paid a salary or a full-time hourly rate, being new on the job is not really that big a deal. Often customers won't apply for a mortgage because they started a new job and think they need a few years on the job first; that's just not the case. If you just graduated from college, then you will at least need to have a copy of a transcript verifying that your degree was somehow related to your new job. If you are starting a new job, you'll want to time your approval for a loan around getting your first paycheck. There are some cases where a lender might let you close your loan without that first paycheck, but that's usually only if you have a fully executed employment contract. Career changes can be a little bit more complex, but if you can explain the nature of the position and its relation to your skill set, and the new career involves a salary or full time hourly pay, you'll probably be OK to qualify for a mortgage without too much hassle. 5. Are you paid commission and/or do you have reimbursed expenses? Salespeople who earn commission need to provide a full two years of tax returns for one primary reason: non-reimbursed business expenses. This important detail is often overlooked, and it can have a tremendous effect on how much loan you can get. The section of the tax return that will be scrutinized is the 2106 expenses. These expenses are treated like extra debt. If you write off $12,000 per year in non-reimbursed expenses for meals, entertainment, mileage, dues, subscriptions, equipment, etc., then guess what? That's $1,000 per month of payment liability that just got counted against your income. If you are thinking about changing jobs in the middle of the loan process, make sure you let your mortgage professional know. Lenders will check your employment status at the beginning of the process, in the middle, and on the day of closing, so last-minute changes in employment are sure to cause trouble for your mortgage approval. If you don't have enough income on your own, there are loan programs that will let you add a relative's income to help you qualify even if they aren't living in the house. Keep in mind that they are on the hook for the mortgage and it will count as a new payment on their credit report even if you make the payments. This is a great way for a parent to help an adult child buy his or her first house. One final point about income: You only get one chance to make a first impression. It may seem like mortgage underwriters look for reasons to turn down loans, but the truth is that they like to have all the facts about how much you make in front of them with details and explanations to address any changes. The extra work it takes to provide all of this information up front often means the difference between a painless loan approval and a document-hunting nightmare.